Gordon R. Bernard, MD, is Executive Vice President for Research and Chief Research Officer, Vanderbilt University Medical Center (VUMC). B.S. double major – Biology/Chemistry, University of Louisiana (Lafayette) 1972, M.D. Louisiana State University (New Orleans) 1976. Dr. Bernard undertook residency training at the University of Kentucky (Lexington) in Internal Medicine from 1976-79 and subspecialty training in Pulmonary and Critical Care Medicine at Vanderbilt from 1979-81. He joined the faculty at Vanderbilt in 1981 as a physician scientist and became Medical Director for the Medical Intensive Care Unit and Director for Pulmonary and Critical Care research programs in 1983. Dr. Bernard’s research has primarily focused on improving the care and outcomes of critically ill patients with sepsis and the acute respiratory distress syndrome (ARDS) and he established the Vanderbilt Coordinating Center in 1987 to support the large multi-institutional and international clinical investigations he was leading. In 1994 he was asked to lead the NIH ARDS Clinical Trials Network – the principal NIH team focused on clinical research in intensive care and continued in this role until 2014. Dr. Bernard is a member of the American Association of Physicians and has written or co-authored more than 275 original articles and book chapters. Dr. Bernard was Associate Director of the Division of Allergy, Pulmonary and Critical Care Medicine from 1997-2001 and Division Director from 2001 to 2007. 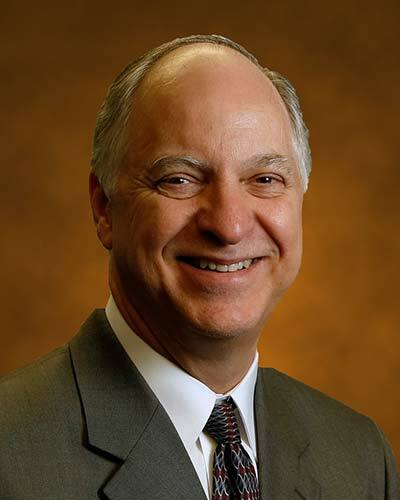 In 2004 he was named Assistant Vice Chancellor for Research and was promoted to Associate Vice Chancellor for Research in 2009, and he currently serves as Executive Vice President for Research at Vanderbilt University Medical Center (VUMC). In the latter role, Dr. Bernard serves as the Director of the Vanderbilt Institute for Clinical and Translational Research, and P.I. of Vanderbilt’s Clinical and Translational Science Award (CTSA), an NIH-funded program that is supported by one of the largest single grants in VUMC history, greater than $140M over the first 15 years. In these roles, Dr. Bernard oversees the extensive, multifaceted clinical and translational research programs of VUMC. Dr. Bernard is also currently the Co-PI of the Duke/Vanderbilt Trial Innovation Center which is one of only 3 such NIH supported centers in the US.